From the 50's/60's. These were used to make enameled flower jewelry/pins. Made of copper plated lightweight steel. Sturdy but pliable and easy to bend. The stacked rose in the photo was made using two of the 3 petal stampings. Measure about 1 inch when folded into a flower. 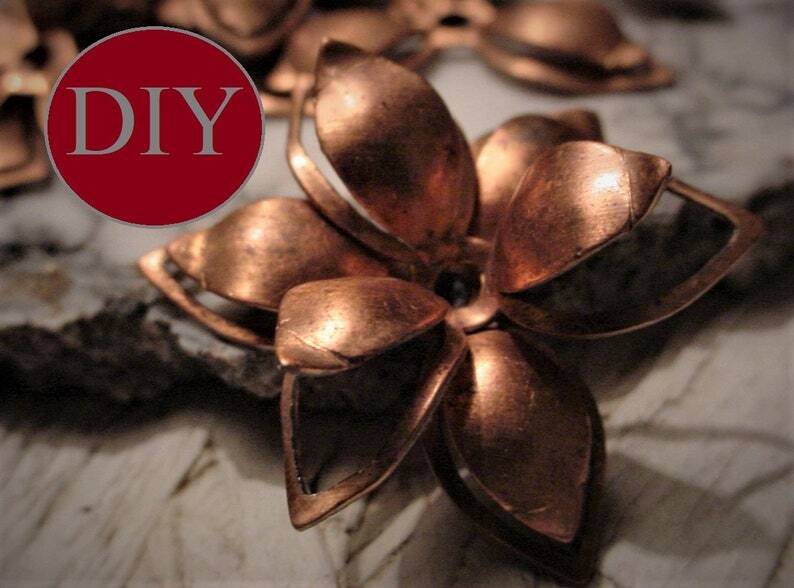 You receive 24 of the 3 petal stampings (makes 12 stacked flowers). Due to age, you will encounter some "age spots" but nothing too significant. These are in remarkably excellent condition for their age. No rust at all. Quality vintage components in excellent, never used condition. Age spots can easily be removed by buffing gently with extra-fine steel wool.